This resource from Boxford describes the production of a wooden seesaw using CAM technology. A CAD file is provided for the project and a photograph shows the use of triangulation of cross structure in the making of the product. 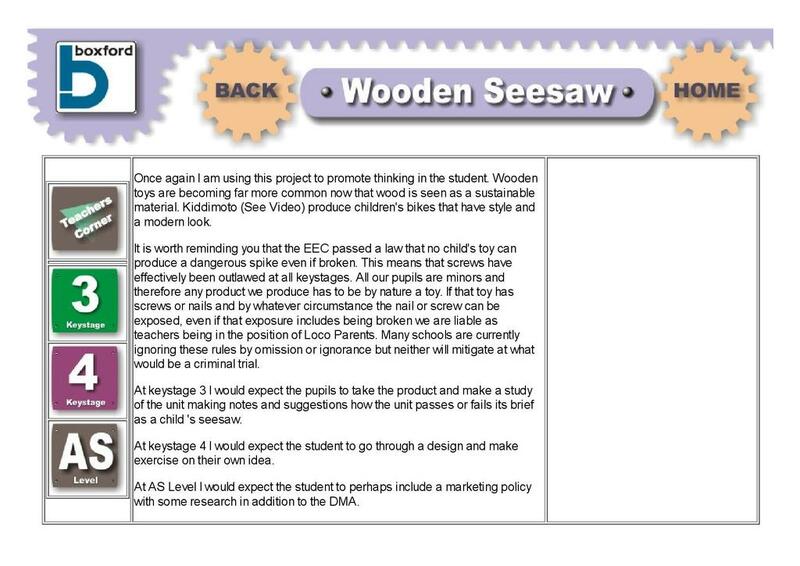 Safety issues and features are discussed and the advantages of using this design over a conventional seesaw are described. Curriculum links include the use of CAD/CAM to produce products and the importance of safety when designing products for children.